Are you Ready for Freddy? Everyone's favorite first grader and shark lover is back! Merry Christmas, Freddy! 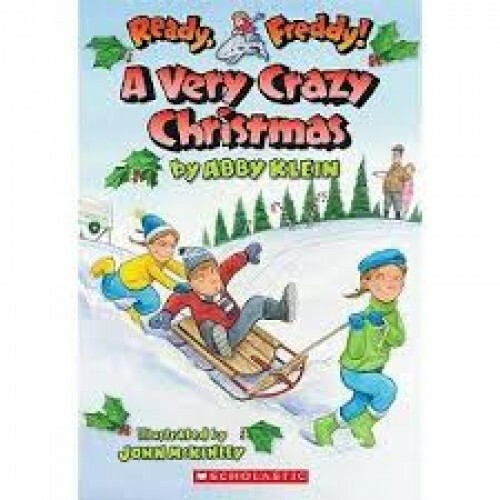 Freddy's cousins, twin sisters Kasey and Kelly, are coming for the holidays. Things are always more fun when the twins are around -- but they're also a lot more crazy! Freddy can't wait to find out what trouble the girls get into this time. Extra activities included: The word "fin" is hidden in every illustration, and readers can play the games in "Freddy's Fun Pages" at the end of the book.